To provide great support, you need great tools. That’s why your best choice is GoToAssist remote support software from LogMeIn. 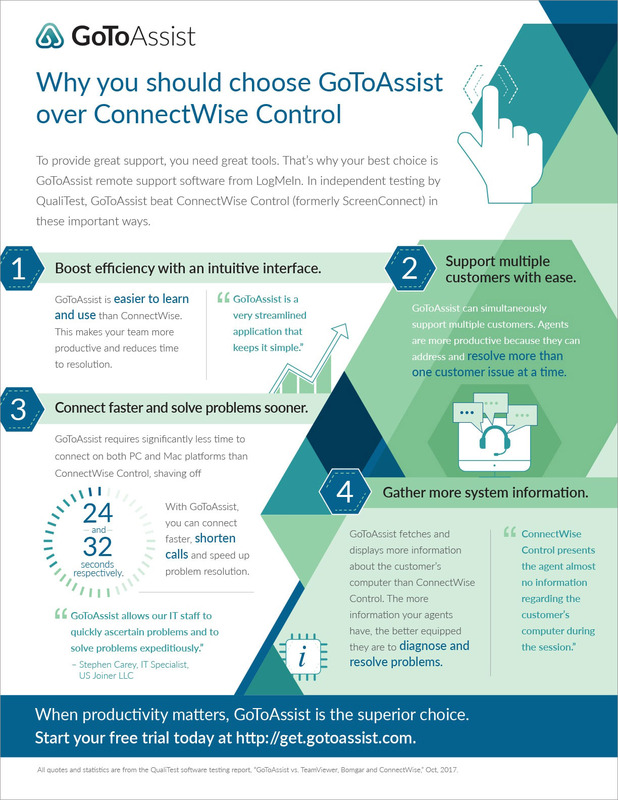 In independent testing by QualiTest, GoToAssist beat ConnectWise Control (formerly ScreenConnect) in these important ways.